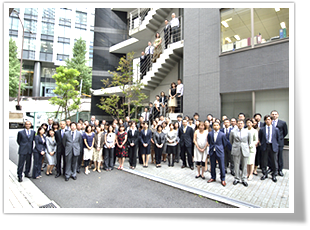 Since its creation, SCETI has always been at the forefront of technology introducing foreign technologies into Japan. In such a challenging environment, we believe that our future expansion depends on our capability to anticipate market moves and to source innovative solutions tailored to our customers’ ever-changing needs. As a result, our development is closely connected to our specific company culture, that of speed, flexibility, an entrepreneurial spirit and a certain anti-conformism. It will be made possible only through the support of our partners. Therefore, we expect to remain a preferred channel to our valued partners and we sincerely look forward to the opportunity to earn their continuous trust.